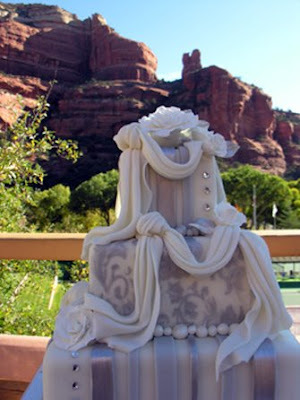 This fabulous wedding cake was the vision of a dear, sweet Australian bride who chose Sedona , Arizona for her wedding and Sedona Cake Couture for her wedding cake! 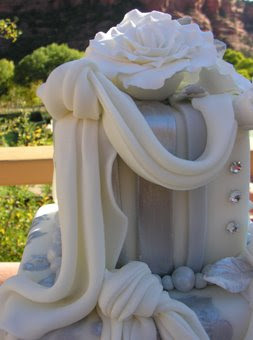 The bride wore silver, as did the cake! The scenery is breathtaking and the wedding was exquisite! 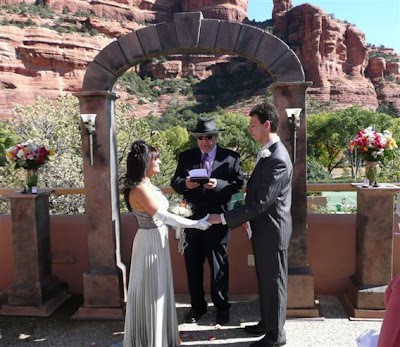 Here is a photo of the bride and groom with fabulous red rock views at Enchantment Resort here in Sedona, Arizona. It is such a joy to meet wonderful people like Romy and Dom. We wish you the best of luck in your future together! !